Today when I was at The MSU Kent County extension office I saw this most amazing Astilbe. 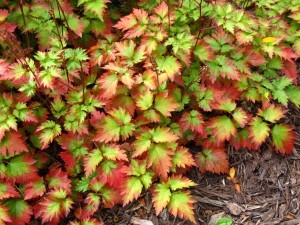 Astilbe Color Flash Lime was showing off! The multi colored foliage was super striking and caught me in my tracks. 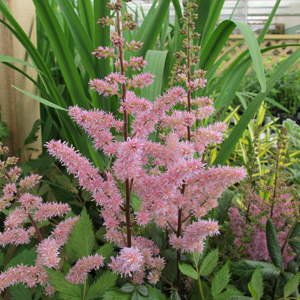 Astilbe are great for your part sun locations and prefer to be kept on the moist side. Color Flash Lime has amazing lime green foliage that turns colors of the sunset with a little sun exposure. 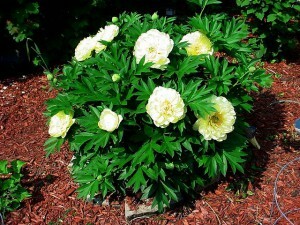 The pale pink blooms are a beautiful contrast. 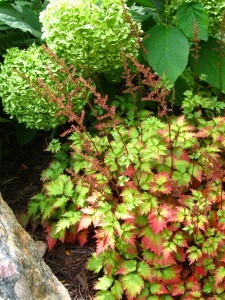 Astilbe are a long blooming perennial with the added bonus of being deer and rabbit resistant. On today’s walk through the greenhouse I saw this huge beauty. 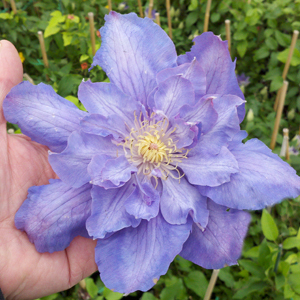 Clematis ‘Vyvyan Pennell‘ has extra large 8″ double violet blue flowers. ‘Vyvyan Pennell‘ is a reblooming clematis that blooms in the spring and then again with large single flowers in the fall. Prune Group 2 – Prune lightly above the new leaf buds in early spring and remove any dead or weak stems. 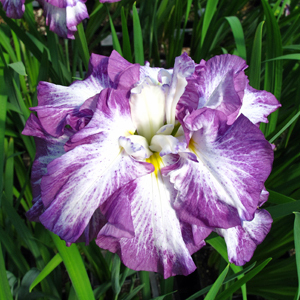 Early flowers appear on the previous season’s growth while late summer flowers appear on new growth.